Understanding the true impact of television advertising has always been challenging. Traditional models have relied on targeting an advertiser’s audience based on the metric of gross rating point (GRP). 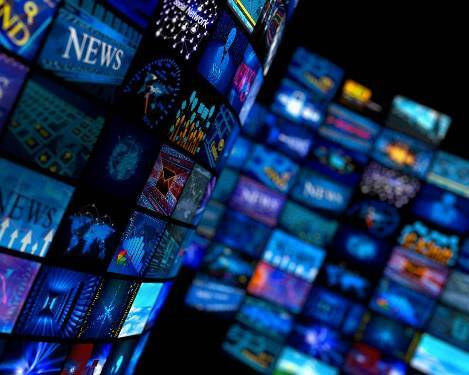 Whether you believe in the accuracy of today’s television audience measurement systems or not, new competitive TV research is looking beyond GRPs to improve advertising return on investment (ROI) and key performance indicators (KPIs). The premise is straightforward, learn what has worked for other successful TV campaigns and apply those insights to your campaign. 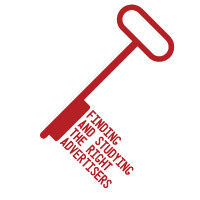 However, the key to success is finding and studying the right advertisers. Hundreds of advertisers such as Humana, Nutrisystem, Lifelock, Zip Recruiter, Quicken Loans, ASPCA, and St. Jude’s Children’s Research Hospital, are providing consumers with a way to respond to their commercials via 1-800 numbers and web addresses. These direct response advertisers measure the effectiveness of each television commercial, including which networks and dayparts are delivering the best ROI, by assigning a unique 1-800 number or URL/promotion code to each network/creative. These campaigns focus on what works and quickly phase out networks, dayparts, and creatives that under perform. “GRPs do not correlate to measured advertising ROI, which is why direct-response metrics are so valuable. The television industry could learn a lot by studying direct response campaigns”, said Joseph Gray, CEO of DRMetrix. Gray’s company has created Adsphere™, the first television research system of its kind that specializes in monitoring television campaigns that measure their advertising ROI using direct-response techniques. Gray explains that AdSphere makes it easy to study these types of campaigns and discover which creative and media executions are working at the highest levels. To make this possible, DRMetrix leveraged pattern and optical character-recognition technologies along with an innovation known as “automated content recognition” (ACR). These technologies allow AdSphere to recognize TV campaigns that assign a unique 1-800 and/or URL/promotion code to each television network. AdSphere has created a whole new world where advertisers and agencies can study competitive campaigns that are optimizing on the basis of measured ROI. “Planning a television campaign on the basis of GRPs alone will hurt advertiser KPIs,” Gray said. “But,when advertisers apply the actionable intelligence from AdSphere to the planning process, there’s a significant positive impact”. Since inception, AdSphere has expanded its monitoring coverage to over 120+ networks. AdSphere has detected over 272,000 infomercial (28.5 minute) airings and over 25.7 million spot airings with an average run time of 39.32 seconds up to a maximum of 5 minutes in duration. DRMetrix released its 2017 AdSphere study providing insight into the size of the brand-direct and direct response television industry. For detected 2017 short form airings, the value was calculated at $7.8 billion dollars applying average direct response rates and weighting the value of spots running across two different types of national cable ad breaks. In less than 3 years, AdSphere has amassed a database of over 7,700 brand-direct and direct response brands that have tested and/or rolled out over 32,000 TV creatives. AdSphere’s 2017 study showed that the industry is three to four times larger than what leading television research companies have reported. The reasons for this significant variance, and the study itself, are available by *clicking here. Are new TV advertising technologies delivering efficiency for direct response campaigns? A Nielsen Model for DRTV?